Warning - Bad Dream: Coma contains graphic content intended for mature audiences. Welcome to Bad Dream: Coma. A point and click game where unique minimalistic art style creates an unforgettable and atmospheric experience! 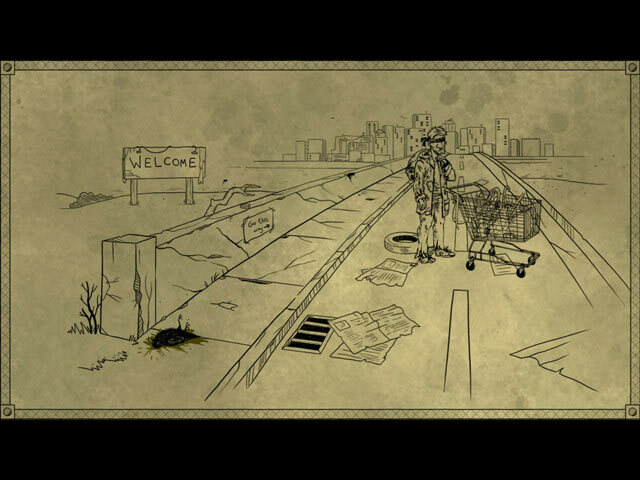 Travel through the surreal and disturbing dreamland where everything depends on your actions. 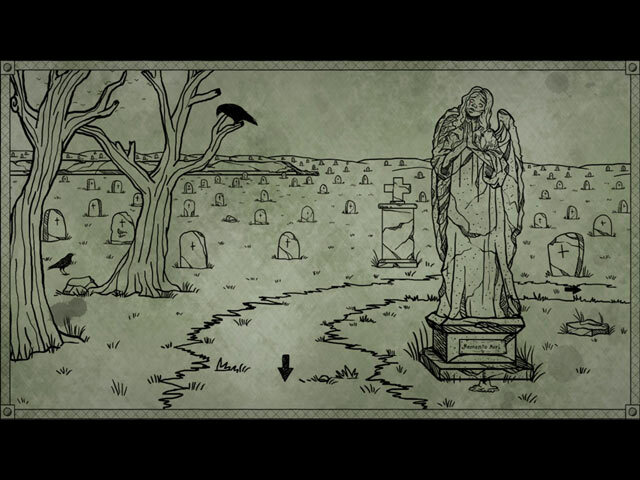 You can't die but you can suffer greatly... Visit the place known from the previous chapters of the Bad Dream Series. Encounter well known creatures in their new form, find the way to erase them from your memory and turn this dream to a peaceful nap. 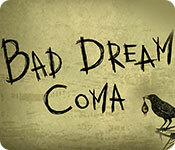 Bad Dream: Coma is rated 4.2 out of 5 by 45. Rated 5 out of 5 by orbweavez from Loved It!!! Make sure you're as bad as can be. It's a way better experience. There are three alternate ways to play and you will get slightly different results and a different experience with either one. Being bad will ensure you get the creepiest game possible, so punch as many birds as you can, for example, hahaha! After I finished I played again being as good as possible and I personally thought the game was a bit boring this way. Some scenes were left out and a few extras were included that weren't in the 'being evil' game play. I'm glad I played both ways. I loved the game. It's quite a short game, depending on how hard it is for you, I actually sought out a walk through a few times because I'm lazy like that. When I played the second time it probably took me under an hour to complete the whole thing, but that's 'cos I already knew how to play it. I love games like this!!! Rated 5 out of 5 by appletree83 from Thoroughly Entertaining!! I had grown tired of my normal Hidden Object games and wanted something totally different. 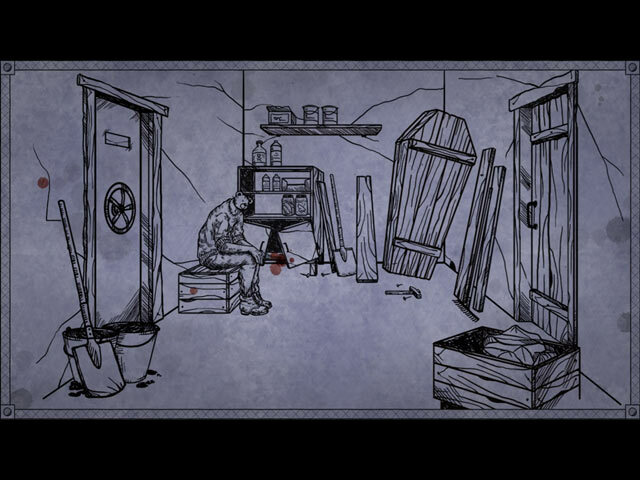 I saw that the reviews for Bad Dream: Coma were very good, so I gave it a try. I loved it!!! Yes, it was a bit difficult for me, but I'm not much of a gamer, and the walkthrough was easily available to keep me proceeding through the game. When will the developer be releasing another one?? Soon, I hope! Rated 5 out of 5 by Boomer47 from Brilliant...Challenging Finally played this game.... If you want hand holding, hints, skips and fairy tales this is not your game. Yes you actually have to think, reason, re-walk and retry to progress thru this game. It is an old school rare treat. The only reason the game may be bloody is if you make a wrong choice. It is awesome fun, lots of play and replay value. If there were more of these games I would buy more games. I am so tired of the princess and the ogre, the bad witch and the beautiful girl. missing parents. sisters etc. Give me more thinking games and I will be in a state of bliss...Thanks Big Fish!! Rated 5 out of 5 by VelvetRose55 from I want more games like this This is unlike any game I have seen. It beats your typical match three or HOG. IMO it beats any similar type of game (except MYST). It's eerie and creepy and wonderfully frustrating. Don't let the simple line drawings on manila paper fool you. This is intense fun. Even the simple lullaby music is deceptively creepy. Rated 5 out of 5 by mcquigan from This is a brilliant game My review is based on playing the entire game, three times now. Kudos to the developers for a job very well done. I rarely replay a game. The first time I played this I immediately started a new game convinced I could be "better"; I enjoyed it that much. The game-play is different than any other I've ever played. You will pick things up, but should you really use it just then? It makes you stop and think. If you are playing for the "bad" ending, it will be gross at times. Keep in mind that it is a game and don't over analyze it, just have fun. Or do over-analyze it and post your thoughts in the forum! Rated 5 out of 5 by lumimat from By far the weirdest game I've ever played Look at the one star reviews for this game and you'll understand why it's a must-have: "nothing works like it does in other games" "the tasks aren't obvious" "there aren't any hints" - all absolutely true and all a testament to how completely weird and unique this game is. We complain about getting the same old thing all the time and then this game comes along and changes all the rules. Whether you add something to your inventory, whether you use it - each choice you make affects what happens in the game. Will you rip apart the crow with your bare hands to get what it's holding, or will you offer it a shiny bottle cap instead? Your choice. Both work, but lead you to a different outcome at the end. This game is unsettling and frustrating, but so incredibly innovative that I can't give it anything other than 5 stars. Rated 5 out of 5 by looc12j from Oh Ya.... Soooo bored with the HO fantasy and evil doers doing evil deeds, this was a refreshing change. I loved the grittiness of the 'Lost in the City' series and always look for urban decay trash polka type games. Not too many... Found this game exceedingly frustrating and addicting. I want the rest of the series please. Tried downloading from other sites but they all seem to be infected. Give this a try. Was a little hard on my not so young eyes. Rated 5 out of 5 by jkl4444 from BEST GAME I HAVE EVER PLAYED This is not a hidden object game. This game makes you think. I have over 150 Big Fish games, and Bad Dream Coma has been the most challenging and obsessive game that I have ever had the pleasure to play! I have played it to the end five times, and each time that I have played has been different! FANTASTIC!! !